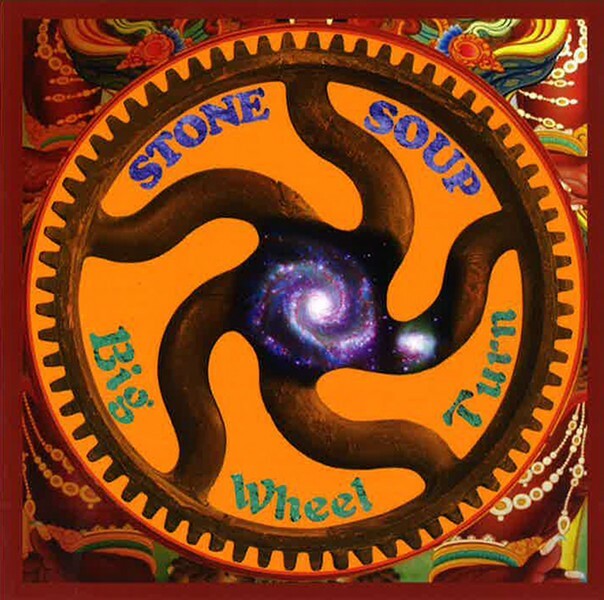 Stone Soup's "Big Wheel Turn" is derived from a whole lot of music in the folk tradition. It's neo-traditionalist, to say the least. But the traditional comparisons end there. Stone Soup picks and sings big and pretty with its own contemporary flair. The band offers smooth renditions of iconic tunes, like "John Henry" and "Gambler's Blues," along with material by Bob Dylan and Chuck Berry. Which is all well and good except for the fact the band doesn't serve them up with the original pine and pain we're used to — and they shouldn't. If I could, I'd play like these guys do, and hell, I'd even attempt to pull off an album like this. See, it is Stone Soup's record to choose what it does and how it does it. But for me, it doesn't quite fit: this veneer of musical proficiency instead of earthy re-interpretations. But before you rally the angry mob and the bloodhounds, let me just say, "Big Wheel Turn" is still a good record and Stone Soup's fans are gonna undoubtedly love it. I just found it a little slick.